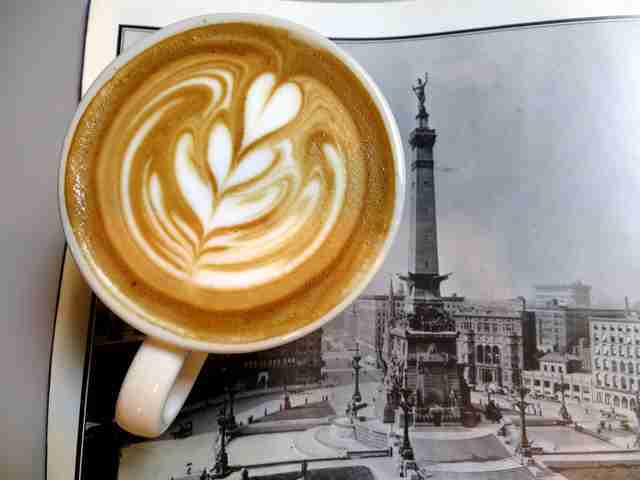 Indy is seriously jazzed on java -- and not just from skinny caramel macchiatos from the big chain drive-thru. Our city has started taking coffee very seriously. Admittedly, we still need a few pointers from the experts. But just like our restaurant and cocktail scene, the coffee culture has exploded in the past few years. In October, Indianapolis will host its third Caffeine Crawl, a pub crawl-style tour event that takes place in cities across the country. Lucky for you, there's no need to wait to explore some of the city’s best coffee shops. An early entry to the Fletcher Place neighborhood, Calvin Fletcher’s is a coffee shop with a mission. With no previous background in coffee, Doug and Judy Litsey and their son, Jeff, opened the not-for-profit shop in 2009 with the goal of supporting the community. Since then, it’s become the gathering place the owners envisioned: a shop with a welcoming atmosphere, local art, and excellent coffee and pastries. Profits are donated to help support neighborhood causes, so grab a Fletcher Place blend or a spicy Calvin Pepper, enjoy a croissant from Circle City Sweets, and feel good about supporting the neighborhood. Owners Bj Davis and Andy Gilman not only roast some of the city’s best coffee -- which they serve and sell in Bee's two locations and at local farmers markets -- but they also roast coffee for other shops and restaurants as well. Davis and Gilman have become leaders in the local coffee community, providing education and support to others and working to grow the city’s java culture. Gilman is also the self-appointed commissioner of the League of Lattes, a monthly latte art competition among area baristas that’s held at various coffee shops. Venture off of Irvington’s main drag and you’ll discover the laid-back vibe of Coal Yard Coffee, home of local art work, live music, monthly comedy nights, occasional food trucks, and well-made coffee drinks. Order a pour-over or kick back on a couch with a dirty chai. Although rough around the edges, this garage-turned-coffee-shop is comfortable and friendly, and feels hidden… for now. Honestly, with its location right on the Pennsy Trail and in the midst of the Coal Factory redevelopment project, more people are sure to discover it. But by then, you’ll be a regular. The 16th Street corridor is seeing lots of action lately, as restaurants and shops find a niche within the nearby Herron-Morton and Old Northside neighborhoods. The orange Foundry Provisions building once served as the metal workshop for Herron School of Art & Design; it’s now a hangout for artsy Herron High School students, stroller-pushing parents, and bike-riding neighborhood regulars. It’s also become a popular place for coffee meetings. 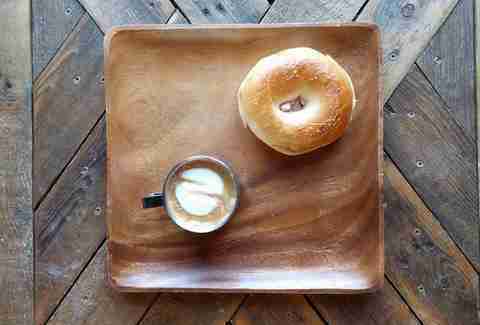 Foundry Provisions serves coffee from Julian Roasters, pastries from Circle City Sweets, bagels from Shapiro’s Delicatessen, and breakfast items and lunch sandwiches. 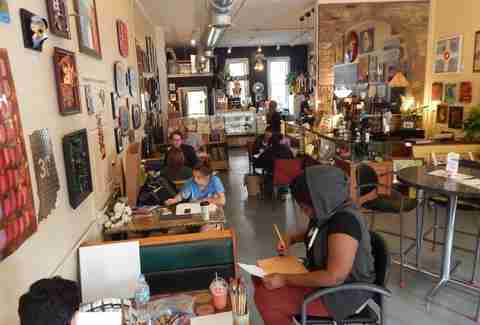 This coffee shop/art gallery combo feels perfectly at home in the offbeat Fountain Square neighborhood. Owners Sherry and Roger Stiver exhibit more than 50 artists working in a variety of media, and call Funkyard a gallery that happens to sell coffee. But that doesn’t mean you won’t find great java -- because you will. Funkyard brews coffee from Bee Coffee Roasters and offers gelato as well as a selection of pastries. Stop in during the monthly First Friday gallery openings and try the shop’s signature espresso milkshake, made with ice cream and a double shot of espresso. The big guys in local coffee began as roasters and wholesalers 25 years ago, then opened their first retail shop in 1995. 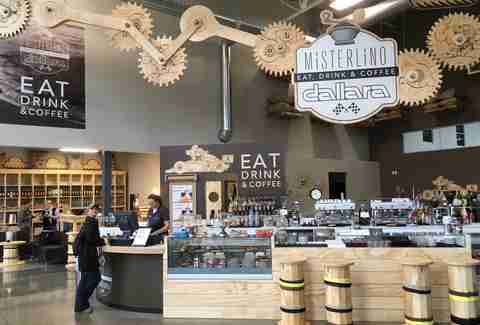 Founders Rick Hubbard and Jerry Cravens have kept the focus on seasonal, sustainably raised artisan coffees and teas, and the shops have become mainstays in their neighborhoods. You’ll also spot H&C at local farmers markets. And if you stop in at the Carmel location, you’ll find a menu that includes juices, smoothies, wine, and craft beer. Based in Italy, MiSTERLiNO has locations in Europe, the Middle East, South Africa, and one in the United States. As odd as it seems that the company’s lone outlet in the Western Hemisphere is in Indiana, it makes more sense when you know that it's located not far from the Indianapolis Motor Speedway in the sleek Dallara IndyCar Factory, and that it's popular amongst Italian drivers and engineers. 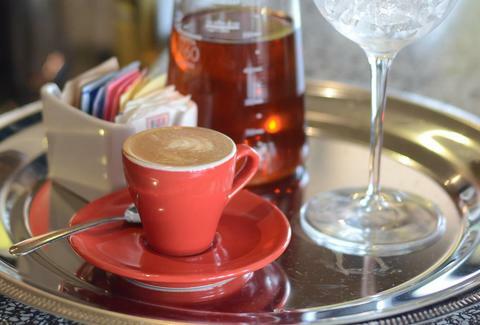 This place has just remodeled and rebranded and is roasting beans in-house (rather than shipping them in from Italy), meaning fresher, better coffee at the Euro-style café, which also serves paninis, pizzas, and Italian meats & cheeses -- and has a full-service bar. Yes, it’s a little hard to find, tucked into the 9 on Canal building, but if you take the time to find Quills, you’ll be rewarded with an excellent cup of coffee. Founded in 2007 by Nathan and Amy Quillo and Nathan’s brother, Gabe, Louisville-based Quills focuses on roasting ethically sourced, seasonal specialty coffees. 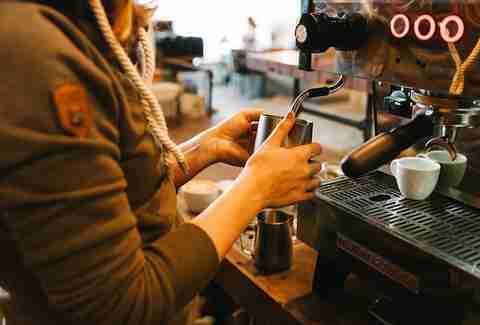 Have a seat at the brew bar and talk coffee with the knowledgeable and talented baristas, who can make you a beautiful latte, or just hide out and study; the apartment complex where Quills is located is popular with IUPUI grad students. Located just off the Monon Trail, this neighborhood mainstay has that boho village vibe that you can still find once you get off of busy Broad Ripple Ave. Fill up a cup with the Choo-Choo Brew, or order a White Zombie, settle into a comfy chair, and snag the Wi-Fi, or grab the table in the back for a business meeting. The Fall Creek Place location in the front of Indy’s Kitchen is a handy stop on the way Downtown, or for a java jolt after a class at CITYOGA. Jolene Ketzenberger is a freelance writer who covers local food at EatDrinkIndy.com and who loves a good cup of coffee, even though she's too impatient to wait for a pour-over, and can't remember the last time she used her French press. Follow her @JKetzenberger.